Adding itself to the already vibrant food scene in Paddington is Barbetta, the younger and bubblier sibling of Cipri Italian. 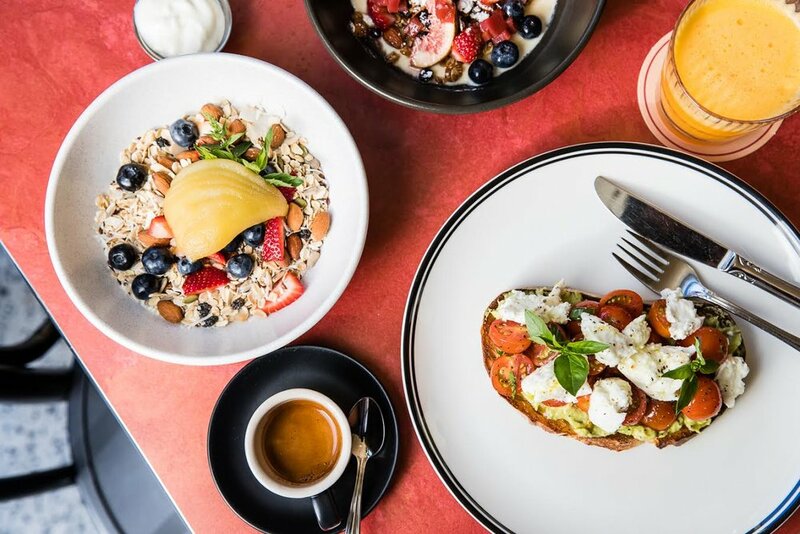 The casual eatery serves breakfast and lunch, combining the everyday accessibility of Australian café culture with the traditionalism of Italian food. The day at Barbetta starts with breakfast, with a range of Italian spun brunch classics. A sure-fire standout is The Carbonara Australiana, a scrambled egg dish topped with fresh black pepper and pecorino cheese. Other breakfast highlights included the deconstructed buckwheat pancake, and Barbetta’s version of the Avo on toast: Crostino Forza Italia, with avocado, cherry tomato, basil, buffalo mozzarella and sourdough. Of course there is a range of drinks for you to sip on, with coffee, milkshakes, juices, smoothies and Italian soft drinks all covered, along with a selection of Italian pastries made in house by Barbetta’s pastry chef. For lunch, expect the traditional Italian experience, with the self proclaimed “Best Ever Lasagne” (a huge call), as well as the Spaghetti Aglio E Olio Con Pangratto, a simple garlic, chilli and Pangratto pasta, or the Barbetta Polpetta Burger, with eggplant, tomato and provolone. Although there are no cocktails yet, Barbetta has applied for their liquor licence; in the meantime you can BYO wine to suit your Italian lunch. For those of you who don’t have the time for a long Italian lunch, Barbetta also works as a takeaway and gourmet food store. You can take away lasagne, gnocchi, slow cooked lamb shanks. If you’re more into D.I.Y you can also get a bunch of fresh pastas, sauces, cheese and meats to use to cook at home. The fit out was designed by ACME & Co with the idea to bring about the romanticised and nostalgic parts of your favourite Italian escapades. The challenge was designing a place that seamlessly fits together the many functions of Barbetta, from the cafe, to the store and still have enough room for the venue to transform into a workshop space with Barbetta’s twice-weekly cooking classes.